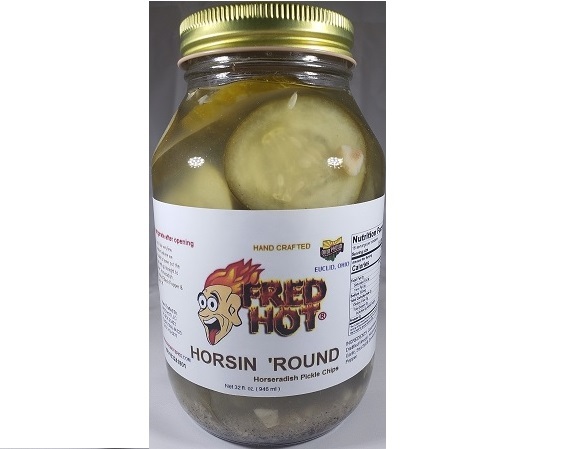 Horsin’ Round: Horseradish, Garlic & Smoked Black Pepper Pickle Chips. Horsin’ Round: Horseradish, Garlic & Smoked Black Pepper Pickle Chips. We stepped a little out of our comfort zone of spicy and went for great, unique, flavor !! !